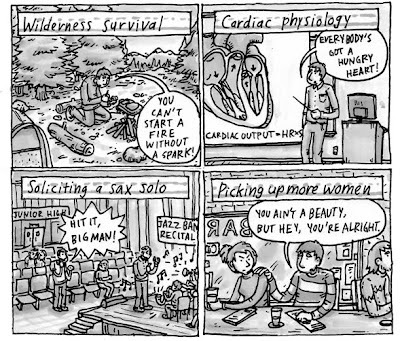 Good timing: I drew this strip the weekend before the Boss was scheduled to play a concert in Kansas City. Bad timing: the show was canceled due to the death of his cousin. My editors at the Star deemed the "zombie" panel inappropriate. Here's the comic in its unedited and eerily prescient (not really) form. 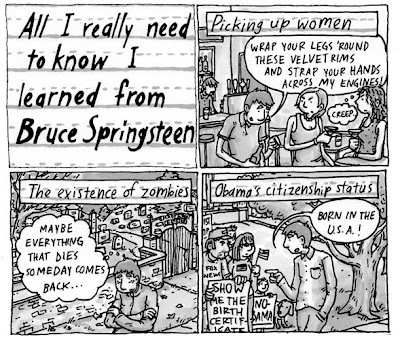 I just discover this comic about The Boss..I´m a superfan of him and of your comics..
My tutors were Harry Chapin and Steve Goodman.